Our complimentary environmental business news service delivers industry headlines to your inbox. 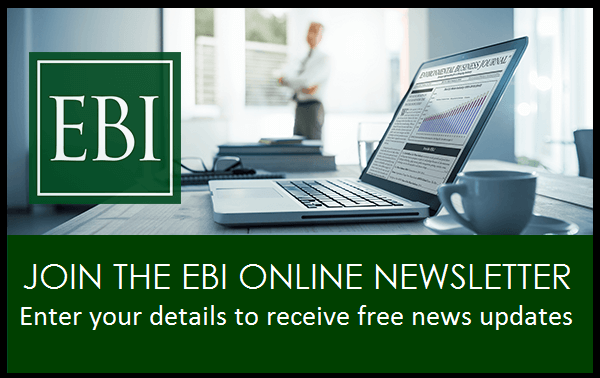 EBJ News is a free digital news service published by Environmental Business International, Inc. for the environmental industry community. 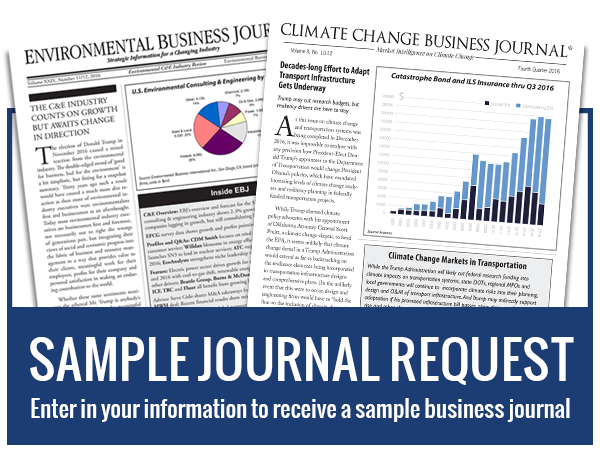 It is separate from the Environmental Business Journal (EBJ), our flagship subscription publication that provides market intelligence, proprietary data and strategic information. For more information or to subscribe to the Environmental Business Journal, click this link to the EBJ page.